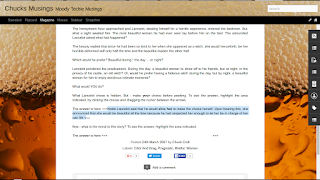 If the blog posts have a solid white background, you make the post text white. 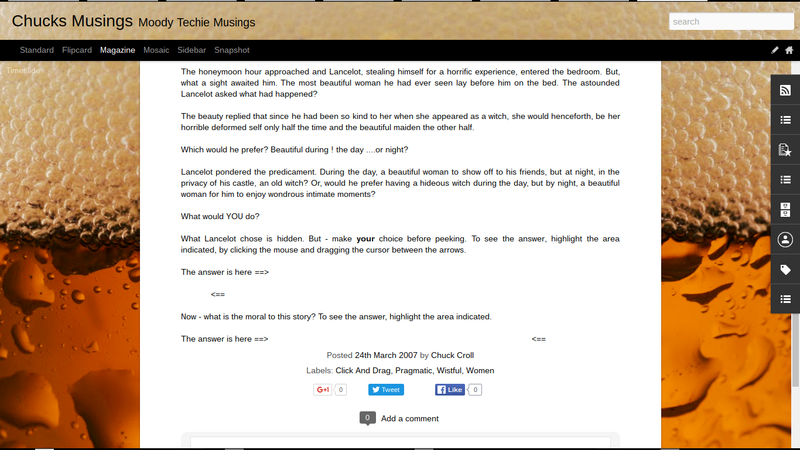 Examine a post, in my text blog. Two spoilers - both blank. Click and drag across the first spoiler - and see the first answer. Click and drag across the second spoiler - and see the second answer. The spoiler code is not complicated. What Lancelot chose is hidden. But - make <span style="font-weight:bold;">your</span> choice before peeking. To see the answer, highlight the area indicated, by clicking the mouse and dragging the cursor between the arrows. Now - what is the moral to this story? To see the answer, highlight the area indicated. 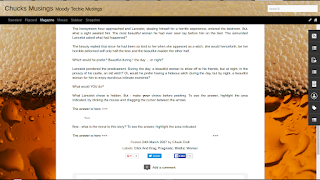 Hoping that your blog does not use a semi transparent floating background over a multi colour background, just make the text the same color as the background. Then, instruct the reader to click and drag the cursor, to highlight and make the spoiler visible. An easy way to hide content is to make the text the color of the background. 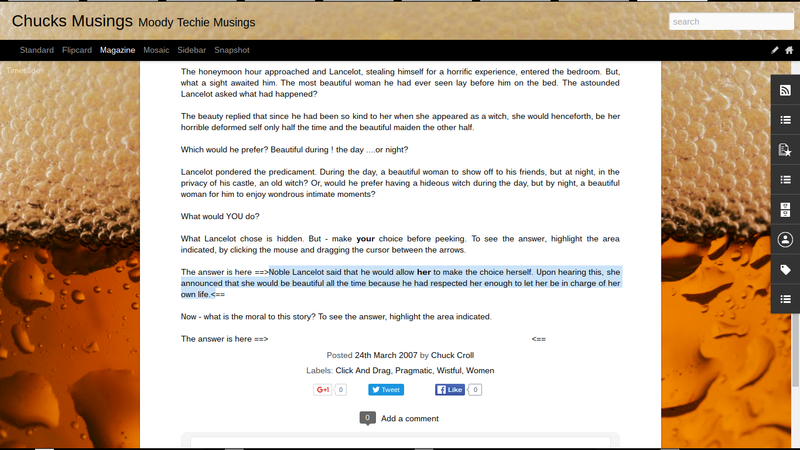 The reader can click and drag, to highlight the text, when then is visible. Are you sure that invisible or hidden text is not against Google Content Policy? Thanks for the question. That does sound like a familiar issue, from somewhere. I just checked Blogger Content - and Google TOS, for "conceal", "hidden", and "invisible" - and can't find anything mentioned. I'm betting that if it's a problem, you'll find it in Webmasters, as a search indexing degradation issue - and if it's significant, it would involve a) deceptive intent, and b) large volumes of hidden text. Not one or two sentences, in a otherwise visible post. But if you can find anything relevant, I'd appreciate an update!